The Indian economy grew at a much slower pace in the July-September quarter at 5.3 per cent as it tries to weather slowing global demand and a weakened manufacturing sector, government figures said on Friday. Economic growth had risen up to 5.7 per cent in the April-June quarter. Friday’s official data released by the Indian government in New Delhi underscored the economy’s fragility against a backdrop of a Japanese recession and an anemic euro zone. India is among the world’s biggest emerging markets that are battling to avoid spillovers from the US Federal Reserve’s halt to bond buying. Last month, the Indian government named former International Monetary Fund official Arvind Subramanian as its new chief economic adviser, tasked with turning positive investor sentiment towards India. The Narendra Modi-led government in New Delhi is struggling to revive India’s economy after it swept to power in May with the strongest electoral mandate in 30 years. 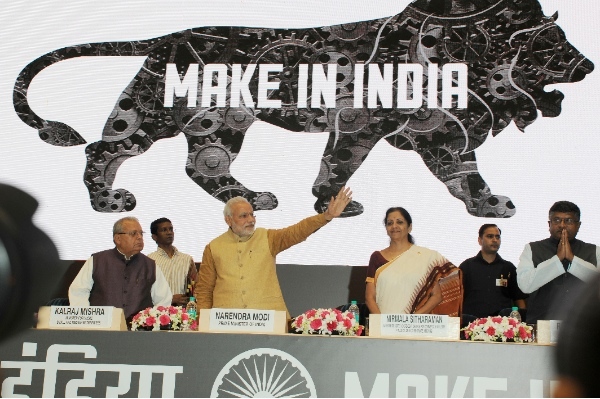 Modi has vowed to make it easier to do business. India fell to 134 of 189 economies in the World Bank’s 2014 index, from 131 last year. New data released earlier this month showed India’s exports contracted by 5.04 per cent to $26 billion in October while imports grew by 3.62 per cent, pushing up the trade deficit. Meanwhile, the Indian Prime Minister has said he is looking forward to Russian President Vladimir Putin’s visit to India in December when the two leaders will discuss ways to boost economic, defense and energy ties. India has already supported a proposal to establish a workshop to prepare to sign a free trade agreement with the Russia-led Customs Union. “I believe that we are going to reach understanding on adjustment of our space programmes when Russian President Vladimir Putin visits India (in December) or shortly after it,” Russian Vice-Premier Dmitry Rogozin said earlier this month. Modi will also host US President Barack Obama in January.